On behalf of the members of Orienteering Cincinnati (OCIN) we want to welcome you to the website of OCIN's Interscholastic Orienteering League. We invite you to look around, check things out, and send us any questions that you may have. This site and the league are for you. Here you will find all that you need to know to become an accomplished Orienteer. How to get started, where to go, what to do; it is all right here. Orienteering Cincinnati, Inc. is a not for profit corporation, dedicated to the service of youth and education, through sporting competitions. TROL is an acronym for Tristate Regional Orienteering League. 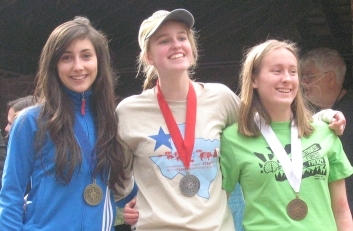 The league was created so youth can compete in interscholastic orienteering events individually or part of a team affiliated with their school. Any student grade 12 or under enrolled, in a public, private or home school, from Southwest Ohio, Southeast Indiana and Northern Kentucky may take part. Schools may come as an organized team, or students are welcome to come as individuals. All league events will also have public courses, allowing parents and siblings to participate as well. The TROL season will consist of approximatley 15 events. These will be held in the Greater Cincinnati and surrounding area. Students who participate in 6 or more competitions will be eligible for season awards based on their best 6 finishes. Schools with more than 3 students participating in 6 or more events will be eligible for school team awards. OCIN will provide training, arrange competitions, and track progress and results. When will the events be held? The season runs from mid-November thru March. Most events will be on Saturday but a few will be on Sunday. Most events will have start windows of 2 or 3 hours that begin around ten or eleven in the morning. A typical course will take about one hour to complete. See the calendar for specific dates & times. Where will the events be? Events must be held at locations where a suitable map has been prepared by OCIN or another qualified organization. All scheduled competitions will be held at various parks and camps within a 50-mile radius of Cincinnati, Ohio. To get started there are a couple things you must do. To take part in the season's activities you must be a member of TROL. To join TROL you can sign-up online or you can fill out the application and mail it in with the league entry fee. If you fill out the application form, have your parents read it and sign it. You should sign it as well. We encourage you to invite your friends to join as well. It’s more fun to have people you know to share the experience with. If this appeals to you, you can talk to your teachers and coaches. Tell them about the opportunities of forming a team, training, competing and meeting a challenge, all in the name of your school. If you’re not part of a team, rest assured you’ll meet people at the events you can share your experience with. You do not have to have a full team to compete. 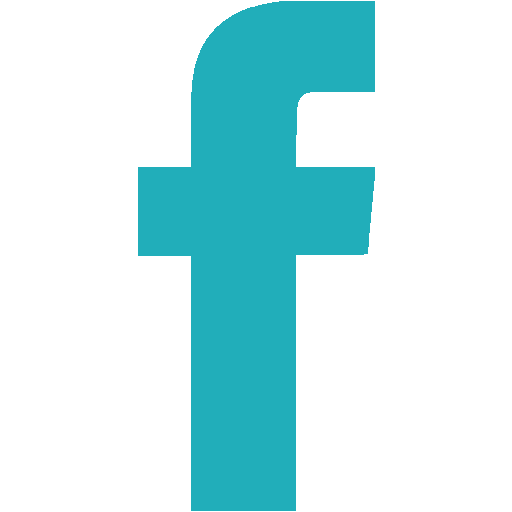 Every TROL member also competes individually. 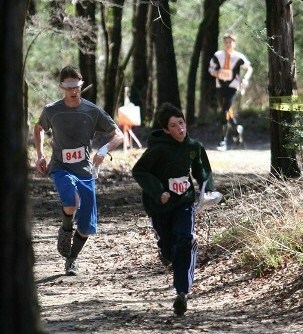 Orienteering teaches the adolescent mental skills. For most, these would otherwise not be developed until adulthood - if ever. Orienteers use a map to navigate a course through unfamiliar terrain - generally forested - over a series of check points. The mental processes involved use many facets of the brain and draw on skills that must be learned. In Orienteering one must evaluate two sources of information; a highly detailed topographical map and the actual natural conditions and lay of the land. From these the orienteer must identify routes to get from their current location to the intermediate destination. The possible routes must be evaluated against the constraints of one's own personal fitness and their navigational skills. From this the possible route choices are ranked. One is selected. 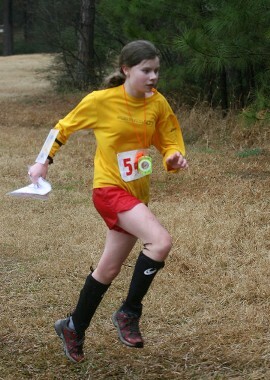 Then the orienteer must navigate and physically traverse the terrain. As the orienteer progresses on the course, information is gathered along the way. The actual features of the terrain are checked against the map. The orienteer's physical location is tracked, and the selected route is modified, amended, or even completely changed, based upon the original criteria and constraints. All of this is done while moving as quickly as possible over hill and dale. These are not just skills, memorized and followed like a set of instructions. These are learned like a language, hardwiring and altering the brain. 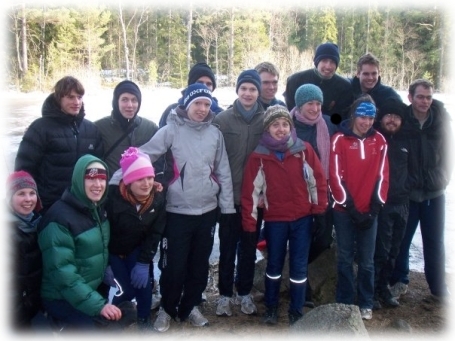 They extend themselves to all disciplines, allowing the student to make better and faster decisions while not orienteering. The development of these skills will cross over into other academic pursuits. The student orienteer will improve both within and outside the classroom. Saturday November 25th @ Miami U Oxford OH. All participants are encouraged to attend the full day training. Additional classroom instruction will be available at area schools with a training camp offered during Thanksgiving break for TROL members.